story as soon as you close the book. 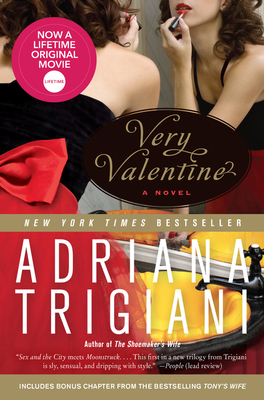 Poignant, funny, warm, and red hot, Very Valentine is a wonderful treat for Adriana Trigiani fans—a “delightful” (Boston Globe), “romance-soaked novel” (Marie Claire) from much adored playwright, screenwriter, documentary filmmaker, and New York Times bestselling author of The Shoemaker's Wife, All the Stars in the Heavens and The Supreme Macaroni Company. The adventures of an extraordinary and unforgettable woman as she attempts to rescue her family’s struggling shoe business and find love at the same time, Very Valentine sweeps the reader from the streets of Manhattan to the picturesque hills of Italy. Here is yet another novel from the incomparable Trigiani that will steal your heart.